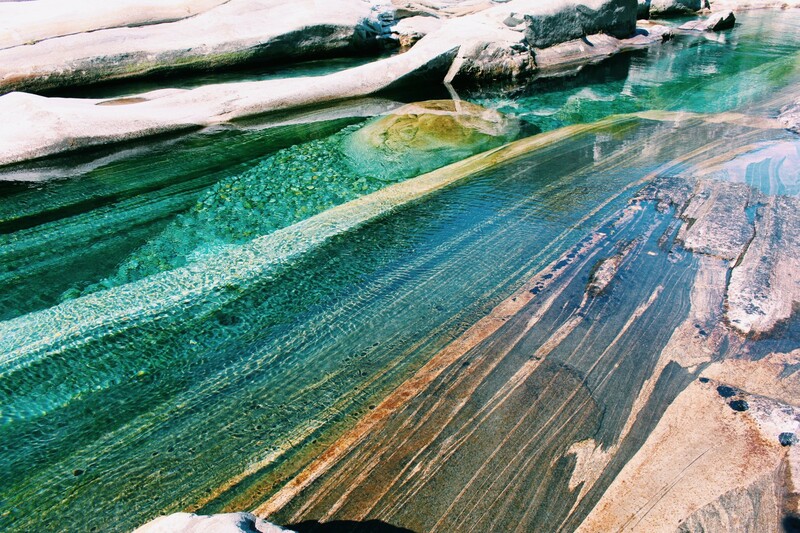 See Valle Verzasca to visit the mountain river. It is ridiculously stunning with turquoise clear water passing over polished rocks. If its warm you can definitely go for a swim! There are lots of walks around as well, or you can walk along the river. Drive a bit further and visit a town called Sonogno. The entire village is a heritage site and it is great to walk around and enjoy. Interesting fact is that this village has its own language (a mix between latin and celtic) however only 100 people know it. Visit the Froda Waterfall. From the town centre of Sonogno you can walk further and along a straight path that walks past green fields and little houses. Walk for another 30 minutes and you will walk past a restaurant, keep walking and you will get to the Froda waterfall. It is so breathtakingly beautiful! I loved climbing all the stones to get up close to the waterfall. It was really stunning and a special place that we just came upon so it was even more stunning because we weren’t expecting it! Eat at the restaurant Grotto Efra which is located along the path between the waterfall and the town of Sonogno. Serving local and traditional products, they make the best Osso Bucco and have a delicious collection of alpine cheeses and local salami’s. Perfect to sit outside in the summer season and after a long walk. Enjoy the little things…the flowers, the sunshine, breathe in the clean fresh air. If you are driving back to Milan you will most probably drive past the “Goldeneye” bunjee jump at the Verzasca Dam. If you like you can go bunjee jumping. We didn’t! We just stopped and went to check it out… my stomach dropped when I looked over the side.